Rowlinson Traditional Lap Panel Dip Treated: The Traditional Lap Panel by Rowlinson is a classic overlap garden fence perfect for creating an attractive boundary in your garden. 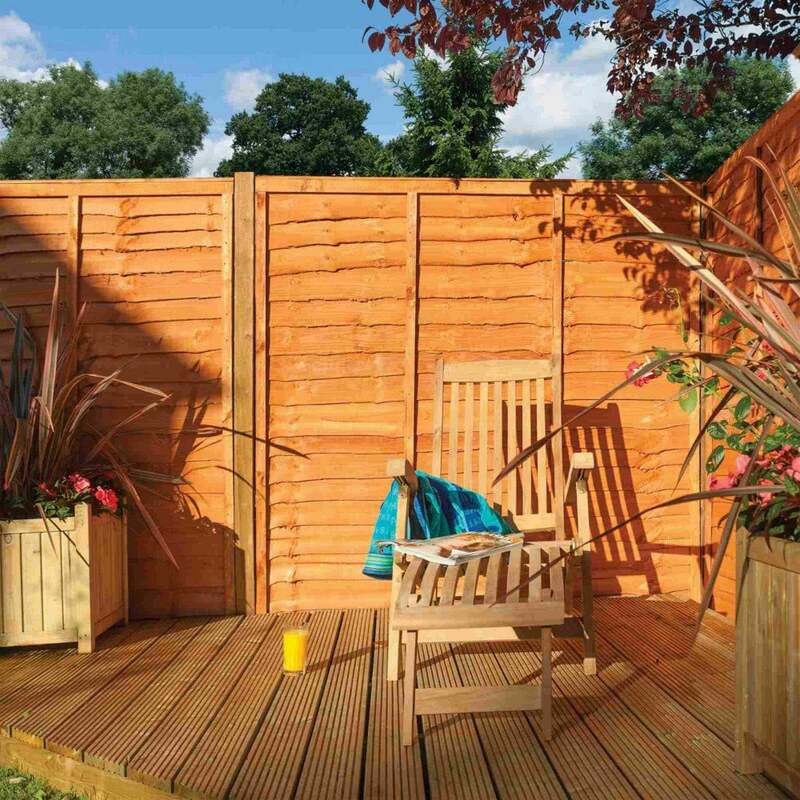 The Rowlinson Fence Panels feature a waney edge design and have been dipped treated in a honey-brown finish. The Lap Panels comes in four height options to suit your garden surroundings and there is a minimum order of three panels.